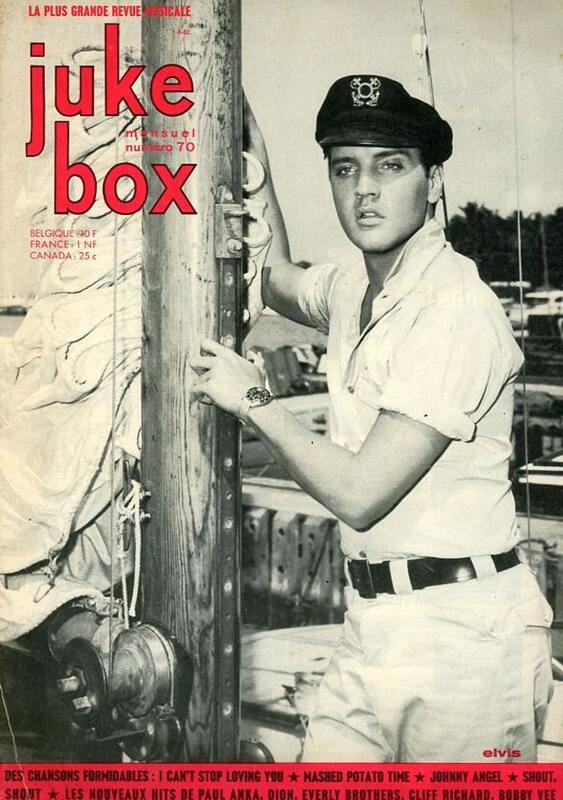 Juke Box Magazine 1962 Elvis Presley on Cover plus many more 1960's entertainers inside ! Image of Elvis is from the movie: Girls Girls Girls . A few more images inside of Elvis with his two beautiful co-stars Stella Stevens and Laurel Goodwin.